In America, we purchase nearly 3 BILLION dry-cell batteries each year. These household batteries contain numerous hazardous compounds, like zinc, lead, nickel, alkaline, manganese, cadmium, silver and mercury…all of which will contaminate our solid waste stream. In 1989, over 620 TONS of household batteries were thrown away in the U.S., and that is double the amount discarded in 1970. 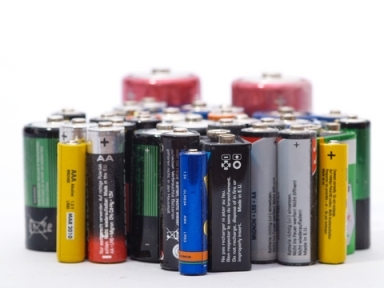 Rechargeable batteries can be found in remote control toys, cordless phones, cell phones, cordless power tools, video cameras, and laptop computers. Don’t let any batteries go to the landfill! 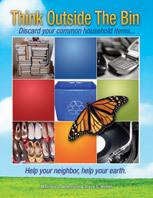 Check with Earth911.com to see where and how to properly dispose of batteries in your area. This entry was posted in Batteries and tagged household batteries, rechargeable batteries, recycle batteries, single use batteries. Bookmark the permalink.